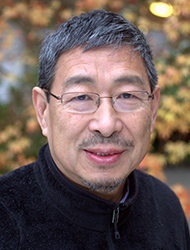 Dr. Cao is a clinical faculty member at Bastyr Center for Natural Health and a core faculty member in the Department of Acupuncture and East Asian Medicine at Bastyr University. He also sees patients in private practice in Seattle. Dr. Cao focuses on integrating acupuncture and Chinese herbal medicine with Western medicine. His clinical interests are internal medicine, breast and prostate cancer, chronic digestion disorders, musculoskeletal problem, skin problems, chronic diseases, autoimmune disorders and pain control. Dr. Cao believes in bringing about the balance of yin and yang in his patients according to the principles of traditional Chinese medicine.